Valusia--land of dreams and nightmares--a kingdom of the shadows, ruled by phantoms who glided back and forth behind the painted curtains, mocking the futile king who sat upon the throne--himself a shadow. 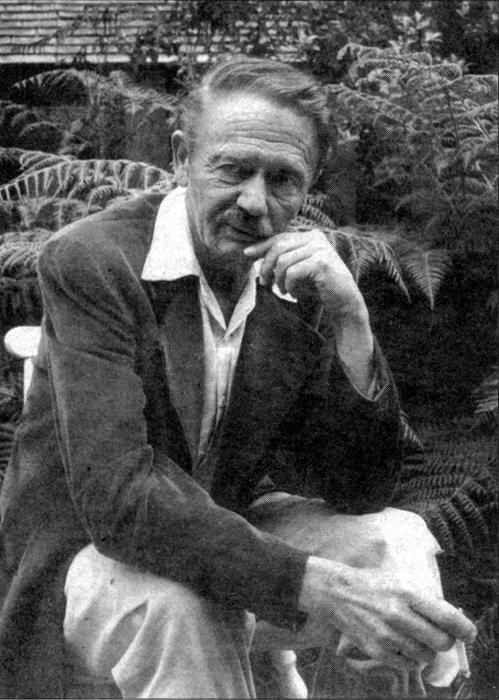 EDITOR’S NOTE: First published in 1963, “The Sorcerer Departs” was Donald Sidney-Fryer’s magisterial bio-critical essay on the work of poet and fictioneer Clark Ashton Smith. Almost a half-century on, it remains the best. The full 17,000-word version, accompanied by new editorial matter, is currently available in a handsome booklet from Silver Key Press. On the occasion of the Bard of Auburn’s 117th birthday, and with the permission of Sidney-Fryer himself, The Cimmerian hereby presents a vastly truncated version of that essay to its readers, which we have titled “Saluting the Sorcerer.” It is our hope that the piece stimulates you to seek out Smith’s work — most of which is widely available in various in-print and out-of-print editions — as well as begin to delve into the prodigious poetry and critical writings of Donald Sidney-Fryer. And spells far sweeter than the speech of love…. Under the blackened moon and paling sun. Smith was born of Yankee and English parentage on January 13th, 1893, in Long Valley, California, about six miles south of Auburn. 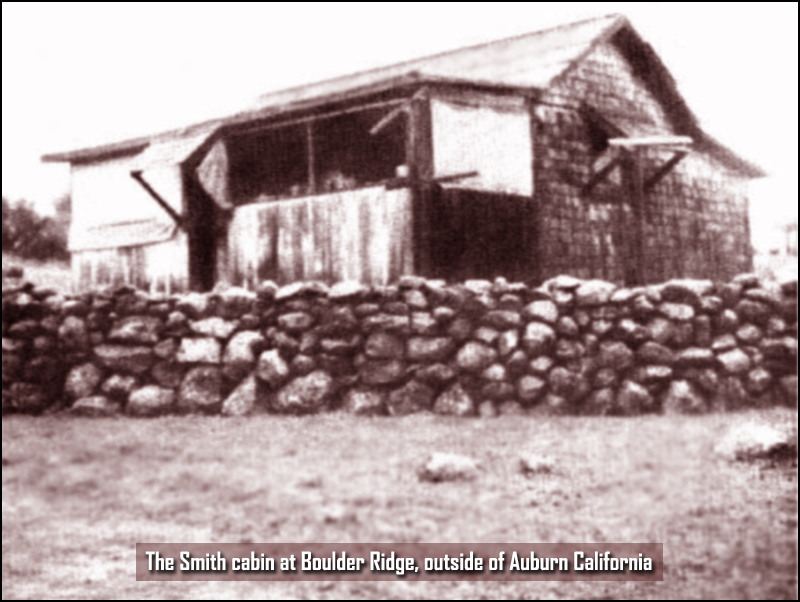 In 1902 his parents, Fanny and Timeus Smith, moved to Boulder Ridge, where father and nine-year-old son built a cabin and dug a well. Here Smith lived almost continuously until 1954, and one can easily imagine the effect that the surrounding countryside had on the sensitive and imaginative boy. It was a veritable gar­den of fruit trees, evergreens and park-like areas located on the rolling foot­hills of the Sierras, while arching overhead the nocturnal immensitudes of the heavens were rendered remarkably clear in the clean, smog-free country air. I recently received my copy of The Maze of the Enchanter: Volume Four of the Collected Fantasies of Clark Ashton Smith. Edited by Scott Connors and Ron Hilger and published by Night Shade Books, this is a sumptuous volume. Filled with sardonic, mystic and grotesque delights, The Maze of the Enchanter is a feast even for the well-read CAS aficionado. Held within its finely-bound pages are tales restored (wherever possible) to the form in which Smith envisioned them before he was prevailed upon to make emendations due to editorial fiat. Night Shade’s “Collected Fantasies of Clark Ashton Smith” series is ambitious, seeking to put every completed tale penned by CAS between quality covers, with the ordering dictated by date of composition. Volume Four encompasses the period from May of 1932 through March of 1933. There are many, including myself, who see this period as one of Clark Ashton Smith at his height, when his imagination, enthusiasm and word-craft were at full strength. 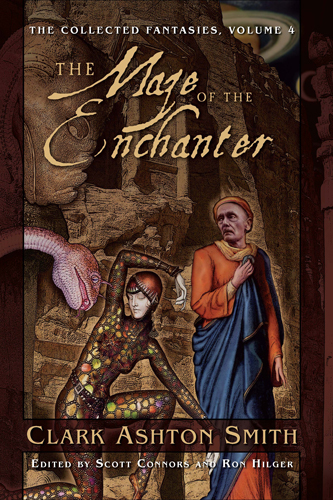 The jacket art for The Maze of the Enchanter, as with all others in the series, has been rendered by Jason Van Hollander. Once again, Van Hollander utilized photo reference to work in examples of of Smith’s own primitive and surrealistic art, as well as a likeness of the Enchanter of Auburn himself (in this case, standing in for Maal Dweb). I’d like to think that Klarkash-Ton would be pleased. Where dreams are kindled in remoter eyes. And all the falling of an ashen sky. Clark Ashton Smith always sought that furthest splendor; that dream-cloaked, westernmost shore. I hope he found it. The latest progress report booklet from the 2009 World Fantasy Convention (being held October 29-November 1 in San Jose, CA) has announced that the Special Guests this year will be Richard Lupoff and Donald Sidney-Fryer. You can download a copy of the progress report here and read all about it on page 6. One of my reasons for starting The Cimmerian was to once again get some of the founding fathers of the modern pulp/fantasy critical arena on record about REH. 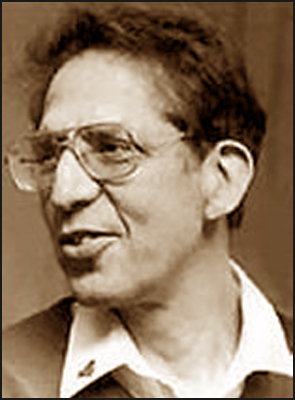 Among many other accomplishments, Richard Lupoff wrote the seminal volume of Edgar Rice Burroughs criticism, Master of Adventure, (a book that served as one of Don Herron’s major influences when producing his Robert E. Howard critical volume The Dark Barbarian). Donald Sidney-Fryer is, of course, the premier Clark Ashton Smith scholar, doing much of the major early research and publishing the bio-bibliography Emperor of Dreams. Both have written perceptively about REH in the past, and were well-known admirers of the Texan’s writings. It was grating, therefore, to see both critics excluded from the various REH fanzines and journals in the modern era. Then suddenly fire burst from the Meneltarma, and there came a mighty wind and a tumult of the earth, and the sky reeled, and the hills slid, and Númenor went down into the sea, with all its children and its wives and its maidens and its ladies proud; and all its gardens and its halls and its towers, its tombs and its riches, and its jewels and its webs and its things painted and carven, and its laughter and its mirth and its music, its wisdom and its lore: they vanished for ever. Atlantology, which boasts a Donnelly and a Donovan, is also blessed with a Donald, Donald Sidney-Fryer. Cimmerian readers know him as one of the journal’s triumvirate of poets laureate alongside Richard Tierney and Darrell Schweitzer, a translator, and an essayist who won a 2008 Hyrkanian Award for his “Robert E. Howard: Epic Poet in Prose.” Students of weird fiction know him as a contributor to The Dark Barbarian, the editor of the Timescape Clark Ashton Smith collections The City of the Singing Flame, The Last Incantation, and The Monster of the Prophecy, and the author of The Sorcerer Departs: Clark Ashton Smith (1893-1961), the founding document of Klarkashtonian Studies. His website heralds him as “the Last of the Courtly Poets & Northern California’s Only Neo-Elizabethan Poet-Entertainer.” And The Atlantis Fragments, which collects Mr. Sidney-Fryer’s three sets of Songs and Sonnets Atlantean, confirms that he is a direct descendant of mythohistorical figures like Atlas I, called Pharanomion (“the founder”, the Northron-harried Poseidon II, and Atlantarion the poet-king. Filed in NEWS and EVENTS — OTHER AUTHORS — Sidney-Fryer, Donald — Smith, Clark Ashton — TOLKIEN, J.R.R. Chet Williamson has posted a large set of pics from the 1975 World Fantasy Con, many of which will be of interest to Howard fans. Attendees included Glenn Lord, L. Sprague de Camp, Karl Edward Wagner, David Drake, Robert Bloch, Fritz Leiber, Donald Sidney-Fryer, Manly Wade Wellman, Frank Belknap Long, and many others. Check it out.